Win a 2,000 Gift Certificate. Africa is a center for financial innovation, home to M-Pesa, the mobile money service launched a decade ago that has revolutionized digital financial services and helped lift many thousands of households from poverty. Africa also is the continent with the largest number of people living in extreme poverty, and many lack the financial tools that could help improve their lives. The contest deadline was December 21, 2018. Winners will be announced in February. 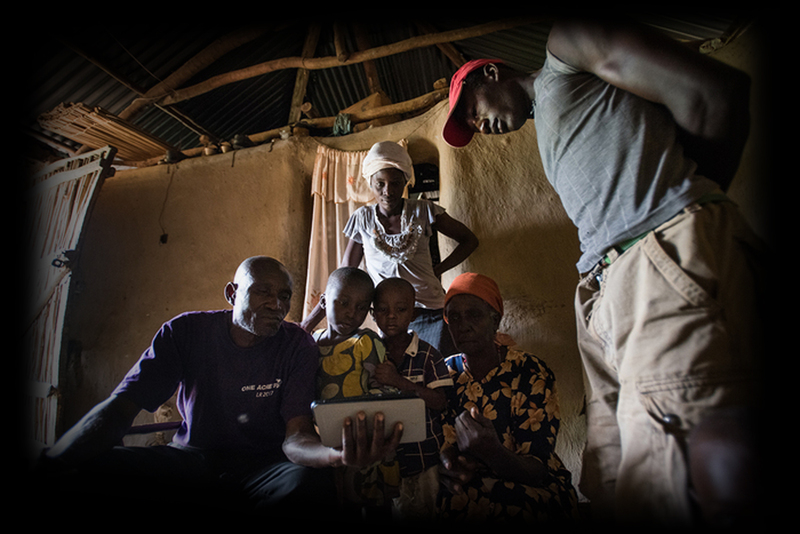 The top photographs showcasing Africa receive prizes and recognition, and all entrants help to show why financial inclusion matters, in vivid and memorable ways. Mobile phones open up markets and access to services for people who are isolated or live in remote communities. Show us how digital finance creates new opportunities for excluded Africans. There are 600 million young people in Africa under the age of 25, and 72 percent of them are unemployed. Show how financial services can spur entrepreneurship among Africa's youth. Savings, credit and insurance provide poor people with a wider range of tools to help manage their economic lives. Show how poor people are building more resilient lives. The 2017 Photo Contest received more than 3,000 entries from over 70+ countries. Financial services can play a role in reducing poverty and increasing prosperity. Learn more about financial inclusion. By entering, you retain copyright and remain the owner of your images and may also continue to use them in any manner you choose. You agree that the images you submit may be used in CGAP’s printed publications, on CGAP’s websites (including www.cgap.org and microfinancegateway.org), in a CGAP slideshow and screensaver, may be uploaded on CGAP's social media channels, or in any other CGAP media, and may be copied and displayed in any country provided that you are afforded appropriate attribution as the photographer/videographer. You are entering this contest at your own risk. You must agree that, regardless of the outcome, you will not challenge the results of the CGAP Photo and Video Contests (the "Contest") or file any claims or suits against the Consultative Group to Assist the Poor (CGAP), the World Bank Group (IBRD), their affiliates, directors, officers, or employees, arising from the conduct of the Contest. You agree that CGAP need not return to you any images you submit and that CGAP may, in its sole discretion, terminate this contest without any liability to you. If CGAP terminates the Contest before its completion, CGAP agrees that it will not use your images for any purpose. You promise that you are at least 18 years of age, you are not an employee (or an immediate family member of an employee) of CGAP or the World Bank (IBRD). You promise that any photograph or video you submit (a) is your own work; (b) that you hold the copyright and have not sold it to any other individual or organization; (c) the work does not (to your knowledge) infringe on the rights of any other person or business; and (d) you as the entrant are the individual photographer/videographer who took the work. You promise that any individual persons depicted in the photographs/videos (except outdoor crowd scenes) have given you permission to use their image in your photograph/video. We ask for this promise because we want you to be respectful of the persons you photograph/film/tape and considerate of their sensitivities concerning the use of their image in your photograph/video. You agree that neither CGAP nor the World Bank (IBRD) is endorsing any organization depicted in the photographs or videos entered in, or chosen as winners of, the Contest. You promise that your photograph or video accurately reflects the subject matter and scene as it appeared, and that it has not been digitally altered beyond standard optimization (removal of dust, cropping, adjustments to color and contrast, etc.). You agree that CGAP will not pay you for your images, whether you win a prize or not. You agree that neither CGAP nor the World Bank (IBRD) is acting as an agent, publisher, or intermediary for the photograph(s)/video(s) you submit. Any inquiries from outside parties about the purchase or use of your photograph(s)/video(s) will be passed on to you, the photographer/videographer, directly. CGAP holds copyright to the collection of images that constitute the CGAP Photo and Video Contest. By entering this Contest, you agree that CGAP may verify the eligibility, ownership and originality of any submission, and that upon request, you shall submit a written copy of any release, license, or permission you have received from a third party granting you the right to use such submission. You understand that in the event your submission is selected as a winning submission and your ownership rights and the originality of your submission cannot be verified to the satisfaction of CGAP, or it is in any other way ineligible, CGAP shall select an alternate winner based on the same Judging Criteria. CGAP and the World Bank (IBRD) assume no liability to third parties for unverified ownership rights claimed by entrants. If after announcing the winners CGAP determines that a winner has misrepresented, misstated, or mischaracterized his or her submission in any way, or is not the rightful owner of the submission, the submission may be disqualified from the Contest, and any prizes or privileges received by the entrant as a result of winning this contest may be rescinded. Any determinations made by CGAP in withdrawing and disqualifying any submission will be final. Copyright: By entering, you retain copyright and remain the owner of your images and may also continue to use them in any manner you choose. You agree that the images you submit may be used in CGAP's printed publications, on CGAP's websites (including www.cgap.org and microfinancegateway.org), in a CGAP slideshow and screensaver, may be uploaded on CGAP's social media channels, or in any other media, and may be copied and displayed in any country provided that you are afforded appropriate attribution as the photographer/videographer. WHAT: We are looking for original, striking images and video stories portraying the impact of microfinance and financial inclusion for poor people in Africa. These images and stories may reflect a range of products and services, people and institutions, and may touch on social, economic, developmental, and technological issues. We are seeking entries in both rural and urban settings and people from all walks of life. Treat all subjects with respect and dignity. Respect the rights, sensitivities, and culture of communities and/or persons depicted, including the subject's right to consent to being photographed. WHEN: All entries must be submitted by 23:59 GMT/18:59 US EST on 21 December 2018. Voting for the People's Choice Award begins at 24:00 GMT/19:00 EST on 21 December 2018 and ends 23:59 GMT/ 18:59 EST on 28 December 2018. FILE REQUIREMENTS: Digital images or scans of prints may be uploaded. Original files of camera-made digital photos may not exceed 20 megabytes (20 MB), and video files 300 MB. CGAP cannot be responsible for lost, damaged, late or misdirected entries, or for faulty uploading connections, garbled transmissions, unauthorized intervention, or technical malfunctions. JUDGING: Judges will include professional photographers, videographers and photo editors. Entries will be judged on subject matter relevance, originality, technical excellence, composition, overall impact, and artistic merit. The story behind the photo or video may influence the judges' decisions. Decisions made by the judges are final. WINNING ENTRIES: All entries may be used by CGAP in printed publications, on any CGAP web asset, CGAP event, in a CGAP slideshow, or in any other CGAP-produced media including social media. CGAP may copy and display photographs and videos in any country, provided that all uses are accompanied by appropriate attribution to the photographer or videographer. CGAP shall have the right to verify, in its sole judgment, winner eligibility. 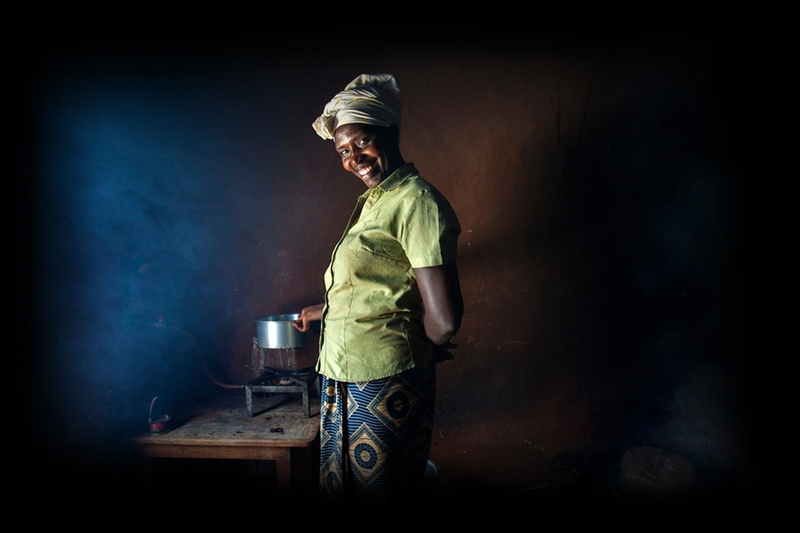 A selection of winning photos and videos may be featured on CGAP's websites – www.cgap.org and findevgateway.org - and in exhibitions at the World Bank in Washington, D.C., and other prestigious venues. LEGAL CONDITIONS: By entering the contest, you must agree to the Legal Conditions. Entry of photographs into the Contest implies acceptance of these conditions, regardless of whether entrants sign a statement confirming acceptance. Copyright: By entering, you retain copyright and remain the owner of your images and may also continue to use them in any manner you choose. You agree that the images you submit may be used by CGAP in printed publications, on CGAP's websites (including www.cgap.org and findevgateway.org), in a slideshow and screensaver, may be uploaded on CGAP's social media channels, or in any other CGAP-produced media, and may be copied and displayed by CGAP in any country provided that you are afforded appropriate attribution as the photographer or videographer. For questions regarding the 2018 Photo Contest, please contact Natalie Greenberg (ngreenberg@worldbank.org). CGAP intends to award the following prizes, one each for a photograph and for a video in the categories listed below. Winners will be notified by e-mail, according to information provided with their submission. If any winner fails to claim his or her prize within 60 days of being notified, that winner may forfeit his or her prize. Any federal, state, and local taxes, fees, and surcharges on prizes are the sole responsibility of the prize winners. REACHING EXCLUDED PEOPLE: Mobile phones open up markets and access to services for people who are isolated or live in remote communities. Show us how digital finance creates new opportunities for excluded Africans. BRIGHTER PROSPECTS FOR YOUNG PEOPLE: There are 600 million young people in Africa under the age of 25, and 72 percent of them are unemployed. Show how financial services can spur entrepreneurship among Africa's youth. DIGITAL FINANCE AND DEVELOPMENT: Innovative technologies and finance together offer new solutions for addressing chronic problems such as access to water, energy and health care. Show ways that financial services are helping advance the Sustainable Development Goals in Africa. Judges may select up to 8 winners to receive US$250 gift certificate for photography equipment and accessories. US$100 gift certificate for photography equipment and accessories. Voting for the People's Choice Award begins on December 21 and ends December 28, 2018. By entering, you retain copyright and remain the owner of your images and may also continue to use them in any manner you choose. You agree that the images you submit may be used in CGAP's printed publications, on CGAP’s websites (including www.cgap.org and findevgateway.org), in a CGAP slideshow and screensaver, may be uploaded on CGAP’s social media channels, or in any other CGAP media, and may be copied and displayed in any country provided that you are afforded appropriate attribution as the photographer/videographer. You are entering this contest at your own risk. You must agree that, regardless of the outcome, you will not challenge the results of the CGAP Photo Contests (the "Contest") or file any claims or suits against the Consultative Group to Assist the Poor (CGAP), the World Bank Group (IBRD), their affiliates, directors, officers, or employees, arising from the conduct of the Contest. You agree that CGAP need not return to you any images you submit and that CGAP may, in its sole discretion, terminate this contest without any liability to you. If CGAP terminates the Contest before its completion, CGAP agrees that it will not use your images for any purpose. You promise that any photograph you submit (a) is your own work; (b) that you hold the copyright and have not sold it to any other individual or organization; (c) the work does not (to your knowledge) infringe on the rights of any other person or business; and (d) you as the entrant are the individual photographer/videographer who took the work. You promise that any individual persons depicted in the photographs/videos (except outdoor crowd scenes) have given you permission to use their image in your photograph/video. We ask for this promise because we want you to be respectful of the persons you photograph/film and considerate of their sensitivities concerning the use of their image in your photograph/video. You agree that neither CGAP nor the World Bank (IBRD) is endorsing any organization depicted in the photographs entered in, or chosen as winners of, the Contest. You agree that neither CGAP nor the World Bank (IBRD) is acting as an agent, publisher, or intermediary for the photograph(s)/video(s) you submit. Any inquiries from outside parties about the purchase or use of your photograph(s)/video(s) will be passed on to you, the photographer/videographer, directly. CGAP holds copyright to the collection of images that constitute the CGAP Photo Contest. Copyright: By entering, you retain copyright and remain the owner of your images and may also continue to use them in any manner you choose. You agree that the images you submit may be used in CGAP's printed publications, on CGAP's websites (including www.cgap.org and findevgateway.org), in a CGAP slideshow and screensaver, may be uploaded on CGAP's social media channels, or in any other media, and may be copied and displayed in any country provided that you are afforded appropriate attribution as the photographer/videographer.